EVE, everyone… as you settle in to enjoy your Bulletproof buttered coffees, McNonymous and the Mouth crack open their a Dad Juice as they begin surveying everything from the latest dietary fads, to updates in the news pertaining to hot issues discussed recently on Middle Theory. First up, we look at Sony Pictures hacking updates include analysis of a sad chain of emails that include insider info on Ghostbusters, Star Wars, and lots of executive-level drama, along with the strong inference that, yes, North Korea may have been behind the hack. We also look at listener feedback regarding last week’s discussion of controversial shootings like that of 12-year-old Tamir Rice, which was recently ruled a homicide (for more commentary on this, also consider listening to this segment on how police can cool down confrontations BEFORE they happen). 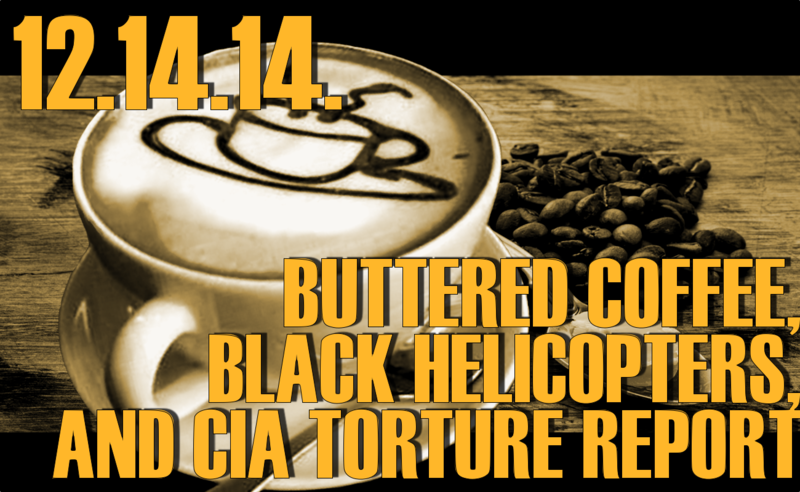 Then it’s on to Springhill Prison in Canada for a black helicopter sighting, as is being probed by Transport Canada, in preparation for our Top Five Most INSIDIOUS Conspiracy Theories of 2014. But first… the recently released CIA Torture Report is the hot item in the news this week, which can be read in its entirety here, or a highlight courtesy of the NYT can be reviewed in this list of seven key points. CIA chief John Brennan responded to the report’s release, which elicited the following response from former Attorney General Michael Mukasey, who says Brennan is “dead wrong,” and further noted that water-boarding was justifiable because no laws were broken. Finally, Russia and other European countries weigh in, with calls for Denouncement. 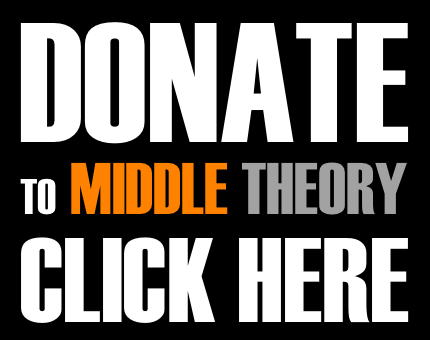 If you enjoy what you hear with Middle Theory, consider supporting the show with a donation. Our program is listener-powered, and hence commercial free, and we appreciate your support. Follow us on Twitter and Facebook for more from the Middle Ground. This entry was posted in Podcasts by Micah Hanks. Bookmark the permalink. It’s strange that all police shootings have something in common no one ever mentions. The shooter is always a man. Correct me if I am wrong but I have never heard of a female officer shooting an unarmed person, as a matter of fact I hardly ever hear about women in connection to crime period. Why does our society not address the fact that crime is all most exclusively carried out, especially violent crime, by men?